Azure Snake is a beautiful snake in the world of light. Dragon’s Wrath is 3D side-scroller game, designed in a unique papercraft model style. You play Dragonio, the last of his kind whose family treasures have been stolen by a rogue group of medieval bandits. You must hunt them down and recover your inheritance before they escape with it forever. As you advance through the game, you’ll discover the bandits true motives as you explore the world of Pembroke. 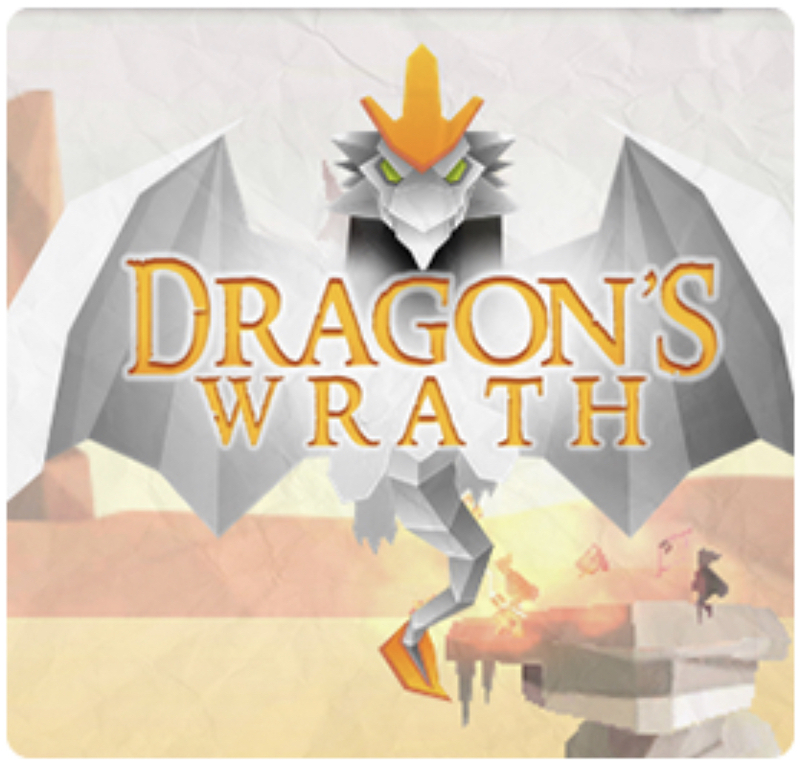 Dragon’s Wrath 3D is a combination of high-speed fire-breathing action scenes with heavy emphasis on flying, exploration, and strategy. Update your dragon’s abilities along the way, and replay levels to earn more treasure and improve your score. The legendary game mechanics, unique artistic style graphics, and epic soundtracks will take you to new gaming adventures over and over. Get ready for a new horrific experience. 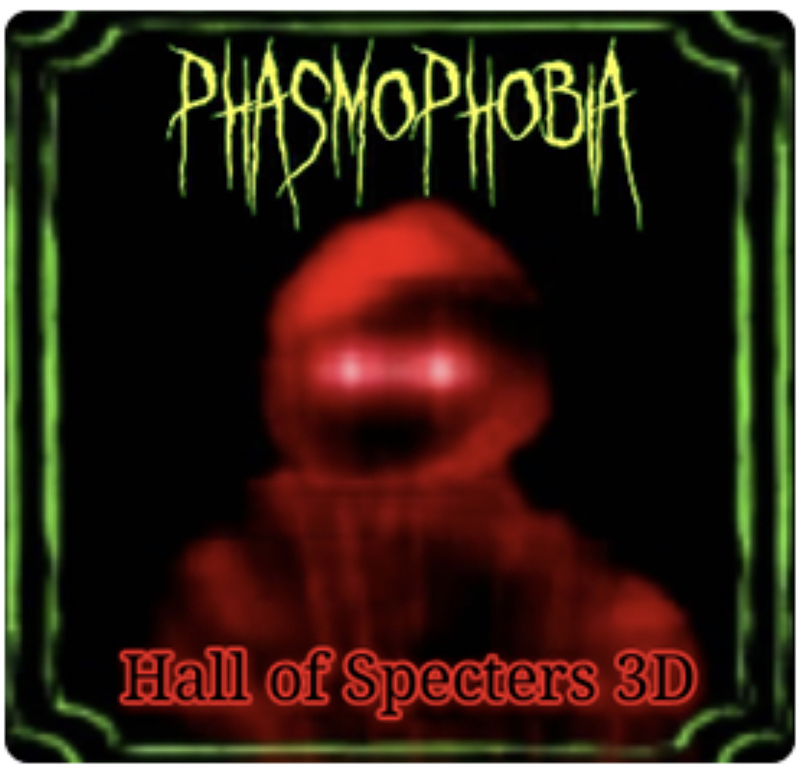 In Phasmophobia, you will need to navigate throughout the haunted halls to collect all the hidden pages in order to escape. But beware, for each page you collect, the game will increase in speed, and the spirits will be angered. Gather the pages and find the exit! Phasmophobia was originally part of an indie game jam in which developers had to remake a classic arcade game. We added a horror twist to ours. And now there is a new unlockable game mode exclusive to Hall of Specters 3D, Insanity Mode! In this new mode, you have only one life and there is a time limit! If you dont beat the game within the time limit you lose! – The SMITE game offers a multiplayer online battle arena that puts the power of the Gods in your hands, with an ever-expanding roster, new events, variety of skins and biweekly updates. Jump into the action as one of more than 90 Gods from Pantheons around the world. Play as iconic figures like Ares, Thor, Hercules, Wukong and Medusa. Purchase the SMITE Founder’s Pack to get bonus loot as well as access to the closed beta. – Pikuniku is an absurd puzzle-exploration game that takes place in a strange but playful world where not everything is as happy as it seems. Help peculiar characters overcome struggles, uncover a deep state conspiracy and start a fun little revolution in this delightful dystopian adventure. – The sacred scroll preserving harmony in our world has been torn up and scattered in the winds. Now, strange and terrifying creatures are sowing discord and chaos throughout the land. Inspired by the Chinese novel Journey to the West, the Unruly Heroes game is the adventure of four totally opposed, implausible heroes who must collect all the scroll fragments and travel to fantastical worlds to restore balance ... or die trying. – The Goat Simulator: The GOATY game is the latest in goat simulation technology, bringing next-gen goat simulation to YOU. You no longer have to fantasize about being a goat – your dreams have finally come true. Goat Simulator: The GOATY is all about causing as much destruction as you possibly can as a goat. Destroy things with style and you’ll earn even more points. – Start in the rolling foothills and journey up to the jagged and exposed peaks. Puzzle over carefully designed scenarios to help every passenger reach their destination. Construct various facilities and infrastructures such as chairlifts, gondolas, jumps, bridges and ramps to guide the riders across more than 100 hazardous levels. Super Smash Bros. Ultimate Piranha Plant Limited-Time Offer – There’s only one week left to purchase and register your Super Smash Bros. Ultimategame by Jan. 31 for a free download code to play as Piranha Plant when it releases. Get all the details at https://smashbros.nintendo.com/buy/#piranha-plant. What were the best 3D Movies of 2018? This article will tell you all about it with links to our reviews of each 3D Movie. This list is based on the best of the best of 2018 and is inspired by high quality of the 3D and the quality of the movie itself. This podcast has some rules to keep it interesting. Nobody can pick the same movie twice and we also have honorable and dishonorable dissatisfying disappointing mentions too. Never Miss out on any our original content like this by subscribing to our Home Page RSS Feed. Starting on Feb. 4, three high-quality Nintendo 3DS games starring iconic characters – Super Mario Maker for Nintendo 3DS, The Legend of Zelda: Majora’s Mask 3D and Star Fox 64 3D – are joining the Nintendo Selects library. Nintendo Selects is a collection of games available at a suggested retail price of only $19.99 each. The Nintendo Selects library features a wide variety of games for various Nintendo systems. In addition to these three newly added games, other games in the Nintendo Selects library for the Nintendo 3DS family of systems include classics like Super Mario 3D Land, Animal Crossing: New Leaf – Welcome amiibo,Kirby: Triple Deluxe and The Legend of Zelda: A Link Between Worlds. 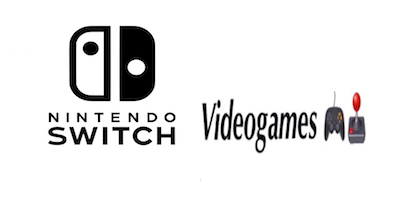 For a full listing of games in the Nintendo Selects library, visithttps://www.nintendo.com/nintendo-selects. In the Super Mario Maker for Nintendo 3DS game, build, play and share your own side-scrolling Super Mario levels using a wide variety of tools. Want to make your cannons shoot coins or have Bowser fly? With the intuitive touch-screen controls of the Nintendo 3DS family of systems, creating levels is easy and fun. Plus, you can take on 100 built-in courses as you tackle the Super Mario Challenge. The Legend of Zelda: Majora’s Mask 3D game brings Link’s classic adventure to Nintendo 3DS. This remastered and enhanced version features a cast of memorable characters, unforgettable gameplay and a dark and mysterious story. With control of time itself, Link must save the world of Termina from destruction by helping citizens, battling bosses and solving challenging puzzles. Join ace pilot Fox McCloud in theStar Fox 64 3D game, an action-packed space shooter that puts you in the control of the classic Arwing ship as you blast, warp and barrel roll across space. Each mission in the game takes you through a different planet of the Lylat system as you face off against enemies, collect power-ups and fight powerful bosses on the way to the final battle against the evil Dr. Andross. A black-and-turquoise or purple-and-silver New Nintendo 2DS XL system* pre-loaded** with the Mario Kart 7 game at a suggested retail price of $149.99. A Scarlet Red or Electric Blue Nintendo 2DS system with the New Super Mario Bros. 2 game pre-installed** at a suggested retail price of only $79.99. For more information about Nintendo 3DS, visit https://www.nintendo.com/3ds/. *Nintendo 2DS and New Nintendo 2DS XL play Nintendo 3DS games in 2D only. You can read our review of The Legend of Zelda Majoras Mask here . Peter Parker returns in Spider-Man Far From Home, the next chapter of the Spider-Man Homecoming series! Our friendly neighborhood Super Hero decides to join his best friends Ned, MJ, and the rest of the gang on a European vacation. However, Peter’s plan to leave super heroics behind for a few weeks are quickly scrapped when he begrudgingly agrees to help Nick Fury uncover the mystery of the several elemental creature attacks, creating havix across the continent! Spider-Man: Far from Home releases July 5th 2019 in 3D and 2D.